If you lead an active lifestyle like many of our patients here, at some point or another, you probably got muscle cramps. Maybe you got muscle cramps in your calves, or maybe in your thigh muscles. These are painful! If you haven’t, you’ve probably seen athletes on TV who are crippled by muscle cramps and see the athletic training staff feverishly working to resolve them. We typically see cramps most often in really hot weather when athletes have been sweating profusely for a long period of time. They lose lots of water and electrolytes and for all intents and purposes, their muscles dry out like a raisin. Certainly various mechanisms for muscle cramps have been proposed, but what are some easy things you can do to avoid muscle cramps? 1. Hydrate, hydrate, hydrate. A good rule of thumb is to weigh yourself before activity and weigh yourself after. For every pound lost, you should replace that with 2 cups of water each. Unfortunately, this takes a lot of discipline! 3. Consider changing clothes at halftime or during a “break” in the action if you’re soaked. When you are soaking wet from sweat, the wet clothes won’t allow the sweat to evaporate. So, having an extra pair of socks, underclothing, shirts/jerseys, etc may help. 4. Have fluid replacement products readily available. This is where sports drink companies make their money. 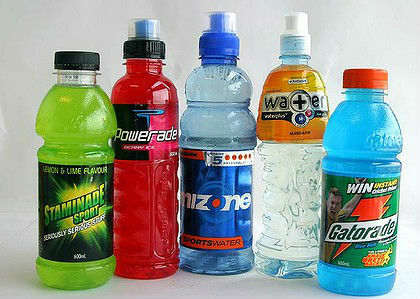 They have electrolytes in them to help replace some that are lost from sweating. 5. If possible, have IV’s available. IV fluids are the fastest way to re-hydrate. Obviously, medical professionals need to be present for this to happen, so this might not be an option in your situation. 6. Avoid alcohol. Alcohol is a diuretic (makes you pee! ), and if you lose water from a night of drinking before practice/game, you will be more susceptible to cramps. Similar argument can be made for coffee. Coffee is fine, just make sure you’ve had plenty of water prior to vigorous exercise. 7. Stay loose and stretch between games. Cramps seem to show up when athletes have had a long bout of playing followed by rest/no activity, then playing again. That said, this is also an issue of hydration. Make sure you re-hydrate between games to compliment your stretching. Foam rolling and using massage sticks can help with this too, both before and after games as well as breaks in the action. 8. Recover! This one encompasses many of the ones listed already. Young athletes especially have crazy schedules nowadays. Many sports and activities going at once. If they don’t “fuel the power plant” with fluids and a good diet, they’re at risk for muscle cramps. Make sure water is readily available and proper nutrients from a balanced diet help in the recovery process. Certainly, things like massages are helpful too. 9. Acclimatize your body. With air conditioning being almost everywhere now, athletes sit inside all summer and then start practicing outside in the August heat and really struggle. This is not to say that they need to be outside for 8 hours a day running sprints. It is to says that in the weeks leading up to starting practices, you should be outside in gradual increments to get your body used to the conditions. 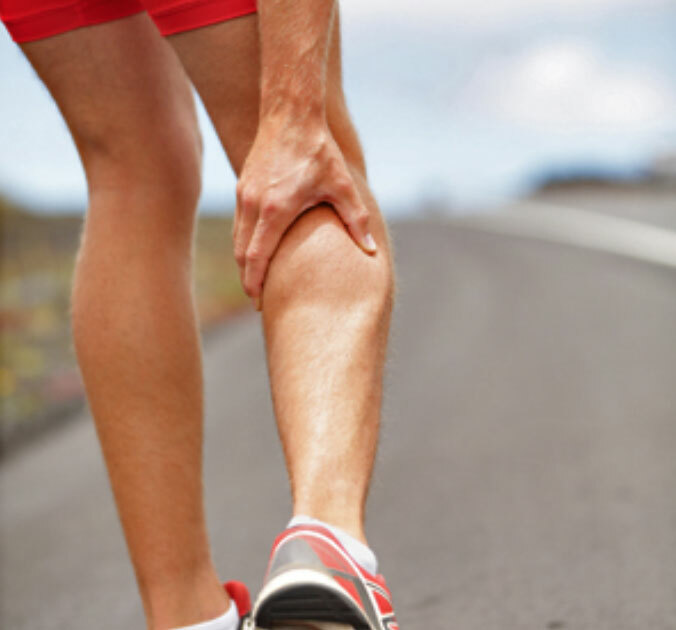 Muscle cramps hurt and can pull you out of activity, often at the worst time. While there is some debate about what causes them and the best way to treat them, there’s some easy things you can do to help reduce the risk of getting them as well as what to do if muscle cramps happen. If you have chronic trouble with this, you should consider seeing your primary care physician for more advanced testing. Muscle cramps or not, our team of physical therapists are competent, skilled, and understand how to help you recover from injury. It would be a privilege to serve you and partner with you in your care. Give us a call!